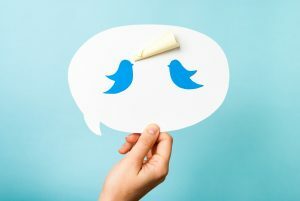 It would seem that of all the social media platforms, Twitter is the one that businesses struggle with most in understanding just how to harness it for effective promotional means. The common assumption is any shortcomings are related to your use of the ever-ubiquitous #hashtag, but in fact they’re not nearly as pivotal as you might think. Here at 4GoodHosting, we’ve done well in establishing ourselves as a premier Canadian web hosting provider and a part of that is sharing insights on how to get more out of your online marketing efforts. Social media is of course a big part of that, and as such we think more than a few of you will welcome tips on how to ‘up’ your Twitter game. It’s easy to forget that these social media platforms have algorithms working behind them, and working quite extensively. What’s going on behind the screen controls and narrows down what you actually see on your timeline. For example, let’s say you have specific political affiliations. The algorithms ensure that the majority of the tweets you’ll see will be linked to that party’s views. Or perhaps you’re especially into sports. If so, plenty of sports news sources will be all over your timeline. Oppositely, if you dislike something then that theme will slowly end up disappearing over the course of the week or beyond. All of this is a reflection of ALL social media platforms, Twitter included, are using more and more complex algorithms to satisfy their user base and deliver content they are likely to find favourable. So this is what do you’ll need to know about Twitter’s algorithms, and the best ways to use them to your advantage. 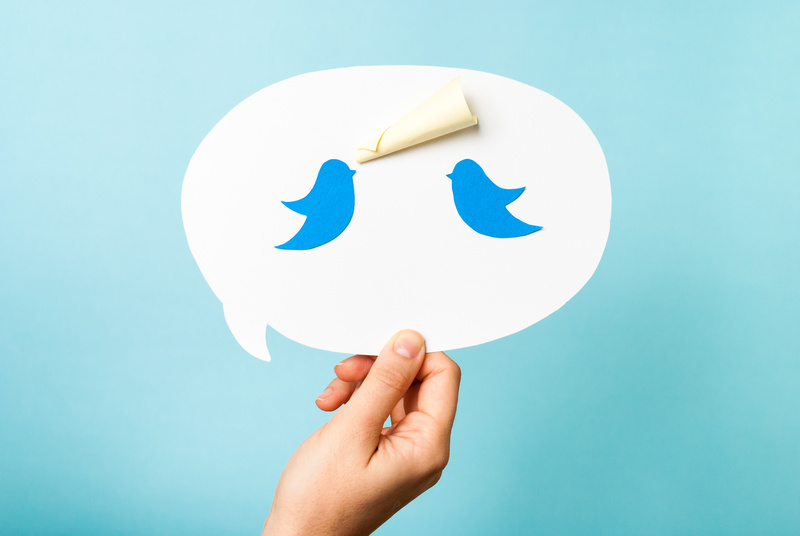 There’s no disputing the fact that Twitter has faded quite considerably in popularity and the strength of its reach. Despite this, Twitter is really narrowing its scope of engagement and a key way to increase engagement is through increasing relevance of the posts seen. Twitter will then recommend people to like over the next couple of days. Depending on your responses to those recommendations, it will then adjust the content that’s seen by you to better reflect how it is gauging your preferences. What’s easy to conclude is that users themselves play a predominant factor in what’s going to be seen on their timelines. Liking or using the “I don’t like this” button once or twice goes a long way in this regard. By this point it begs asking the question; is Twitter’s algorithm perhaps a little too simple? It is definitely not as complex as other media platforms such as Facebook, but the benefit in that is that it is easier to manipulate. Among the many benefits of this is the way that smaller companies may tag a random brand or company in a tweet that is completely non-associable with their tags. Twitter’s algorithms allow this to be a very effective means of getting increased exposure. Generating engagement with your tweets is a reliable way to boost exposure and put yourself on top of the algorithm game. Engaging your audience and boosting exposure keeps you ‘in’ the talk and seeing to it you’re using the correct hashtags will ensure you’re being talked about. Smaller companies can benefit from tagging large companies in their tweets to gain exposure, and that’s especially advisable if the company relates to what you’re talking about. Sure, it only works to a certain degree, but gaining followers by any means possible is always a plus. Putting all this talk about engagement into perspective, it’s important to understand how to spark the right sorts of conversation. Asking random questions will make it look forced, while if you don’t interact at all you may see a dip in exposure. Find a way to be genuine in your responses, and adhere faithfully to what you’ve defined as your brand’s voice. This past week has seen an explosion of cautions extended to people using home Wi-Fi networks (which of course is pretty much ALL of us) regarding a security risk that makes private information and personal content increasingly vulnerable to theft or misuse. It’s certainly not the first time such an issue has come to the attention of the digital world, and it won’t be the last. This one, however, is particularly noteworthy given the fact that it has such far-reaching and widespread potentially negative implications for anyone who’s on the web via a Wi-Fi connection – at home or elsewhere. Here at 4GoodHosting, we strive to be on top of trends and developments in the industry to go along with being a premier Canadian web hosting provider. This ‘heads up’ should be especially welcome for business owners operating an e-commerce website, but we imagine it’s going to also be well received by your average web browsing guy or gal as well. Credit for catching this new flaw goes to a team of Belgian researchers. They’re the ones who recently discovered a security vulnerability in the WPA2 protocol. The WPA2 protocol is a system of rules that dictate how your Wi-Fi networks function and behave. As mentioned, it’s a near ubiquitous and wide-reaching ‘standard’ – it’s installed and in use with almost every single modern Wi-Fi modem or router. We’re going to go ahead and assume that includes you, and as such this warning is one you’ll want to take note of and follow the precautionary measures we’ll lay out here. 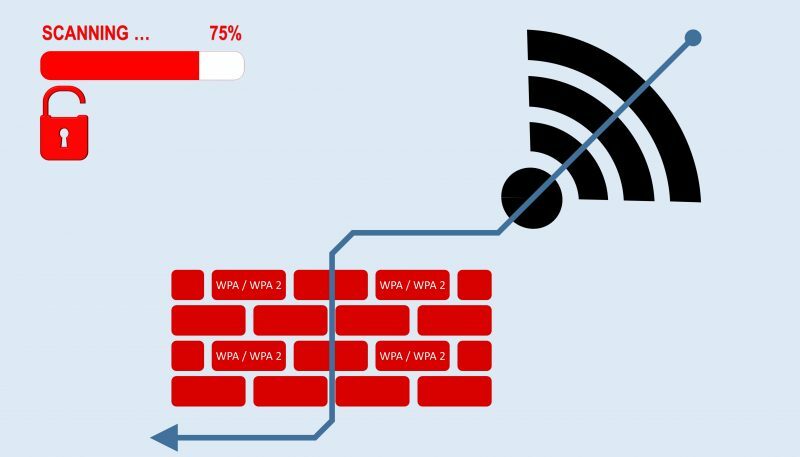 The research has indicated that there’s a loophole in the WPA2 rules that’s creating the possibility for hackers to tap into a Wi-Fi network and grab sensitive information that’s being relayed back and forth over it, with one example (and likely the most disconcerting of all the possibilities) being stealing your credit card details when enter them in the process of buying something online. Another possibility could be snagging your password when you enter it into the login for a particular website. Here is a good read on the issue in detail, via the official website. Plain and simple, the answer here is as suggested above. Meaning pretty much everyone is at risk. That’s because WPA2 is the most common protocol utilized with Wi-Fi modems and routers these days, and has been for quite a while. We’ll also go ahead and assume the majority of you are relatively computer savvy, but for those of you who aren’t you can easily determine if that’s the case by looking under computer>system preferences>network connections and then have a look at your Wi-Fi network settings. It’s nearly certain you’re on a WPA2 network, so read on. Modem and router manufacturers are very much aware of this issue, and are working hard to make patches for their products available to their customers. We recommend a visit to the website of the manufacturer of your Wi-Fi modem or router. Determine if they have released a recent update for your model (look for a date within the last month or two). Check out this list of popular modem & router manufacturers to determine whether or not a suitable patch is already offered to protect your make and model against this vulnerability. Some of you may not be able to install an update for your modem or router on your own. If so, not to worry – most manufacturer’s websites offer support guides, or the option to call them for technical support. It shouldn’t be necessary. Your Wi-Fi network isn’t a factor with this particular security flaw. You’re fine to leave it as it is, and that’ sure to be welcome news for most of you who’d rather not have to create a new one. This threat gains access to networks via non-primary means, and to use an analogy it’s like a burglar who comes in through a window or down a chimney rather than front door of your house. Your password is guarding your front door, but that’s not where you need to be concerned. We’ll continue to monitor developments with this new WPA2 security threat and keep you informed as necessary. Be a little proactive on your own part with the recommendations above and you should be good to continue enjoying wireless Internet. Over the past few months we’ve devoted a post or two to rise of cryptocurrencies like Bitcoin and how they’re still worth taking note of despite the fact they haven’t ‘taken off’ quite like people expected them to. 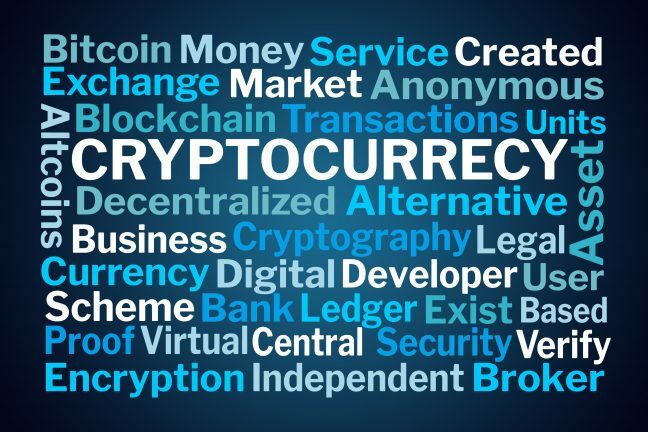 Different people have different takes on whether they will ever become a legitimate player on the global currency scene, but we believe that there is in fact going to be a demand for currencies that are not internationally regulated by any specific bodies and can be uniform from one country / currency to the next. Here at 4GoodHosting, we’re a leading Canadian web hosting provider who also takes a keen interest in developments in the digital world. That’s likely a hallmark of any good provider –staying on top of trends and the like and choosing the most relevant ones to share with their customers. It would seem that Internet ads are now the least of your concerns when it comes to annoyances. 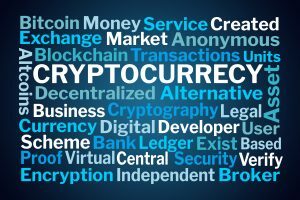 Recent news indicates that the websites you visit could now be prompting your computer to do what’s called ‘cryptocurrency mining.’ So with an existing understanding of what a cryptocurrency is, we now need to ask what exactly cryptocurrency mining is. The entirety of the creation, management, conversion, and transaction of digital currencies demands a lot of computing power. Each block of transactions involves computer owners around the globe racing to solve a very challenging cryptographic puzzle, and winning means you get paid in the relevant cryptocurrency. Contestants, known as “miners”, up their chances by building up their processing capacity. Most commonly this is done by building server farms in remote locations where electricity is cheap, but they are always searching for inexpensive ways to mine for cryptocurrencies more effectively. Conversely, website publishers are always on the hunt for new ways to generate revenue. The standard means – subscriptions, ads, etc. are often insufficient. They don’t have much appeal for most users, can be hijacked, and the big search engines like Google typically take their cut of revenues. So increasingly these days they are resorting to an unscrupulous approach. They’re offering miners access to the computing power of the people who visit their sites, and then selling it to them. Here’s how this whole seedy transaction works. Say, for example, you go to a site to download some free stock images. As your web browser loads the first page, it also initiates a script that prompts your computer’s processor to undertake calculations for a cryptocurrency miner. That miner could be located anywhere. The only thing that might make you aware of it is a slightly slower computer, and a slightly higher power bill. The miner pays the website publisher for the use of your resources, and you’re kept in the dark about it. Now we have to say that reputable web publishers will not hijack your computer for profit. It’s sites that haven’t been successful with traditional ad networking (many are in China) who have embraced browser-based mining as a popular revenue stream. Regrettably, at this time there’s little to stop them from doing it, and little in the way of means of blocking them from doing so. The concept of capturing value from underutilized computer resources isn’t a new one. It actually goes back to the early days of the web. In the late ‘90s a team at the University of California, Berkeley, built the Berkeley Open Infrastructure for Network Computing. It was a software system that took the spare capacity on personal computers and re-dedicated it to scientific purposes. Some of you may remember SETI@home, its most famous application – a screensaver that contributed to the hunt for signs of alien life in radio signals. SETI@home has since aided with climate prediction, drug discovery, protein folding, and many other applications. More than 300,000 users actively participate with it today, and not surprisingly that makes it the largest computing grid in the world. You might think it is, but this type of distributed computing isn’t always cost-effective. Cloud computing would be a much better choice for the type of application suggested above and many others. With browser-based mining, however, visitors are compensating publishers with their computer resources and energy consumption. With the latter part of that comes an involvement with local utility providers in each transaction. Yes, they’d get a better deal by just paying a few cents per page view, but that’s something else altogether. The Internet has made it quite clear that micropayments don’t work very well, in large part because the decision-making costs associated with each transaction outweigh the actual value transfer. As a result, the most viable kind of internet payment is one that doesn’t look like a payment at all. Keep in mind that hundreds of thousands of volunteers happily donated their computing power to SETI@home because it felt costless, even though it consumed $8 of energy each month. Ad-based models have become the default method because users don’t consciously attach a dollar value to their attention and data. So while it does occur and is problematic, there’s no debating that in-browser cryptocurrency mining is an inefficient way of paying for content. It’s not clear that users will be accepting of the appropriation of resources, but if you like at it from the other perspective it’s potentially less invasive than targeted advertising. Which is creepy for many people and takes advantage of underutilized processor resources. No one’s sounding the alarm regarding cryptocurrency mining, but it’s still a growing trend and you certainly don’t want to have yourself as a prime candidate for these leeches. Be smart about the sites you visit, but more importantly be selective about the way you interact them. We won’t go as far as to say to be wary of the site’s seeming source of origin, but if you’re particularly concerned you may want to take this into account too. The top dogs in the world of web hosting all reside south of the 49th parallel, and their sway of influence over consumers and the way they command the lion’s share of web hosting business is well established down in America. Recent news from the Canadian government, however, suggests that their influence may be making perhaps the biggest of inroads up here in Canada too. Here at 4GoodHosting, in addition to being a quality Canadian web hosting provider we’re also keenly interested in developments that are both related to web hosting AND are tied directly to any of the different offshoots of the business as it pertains to Canada as a whole. 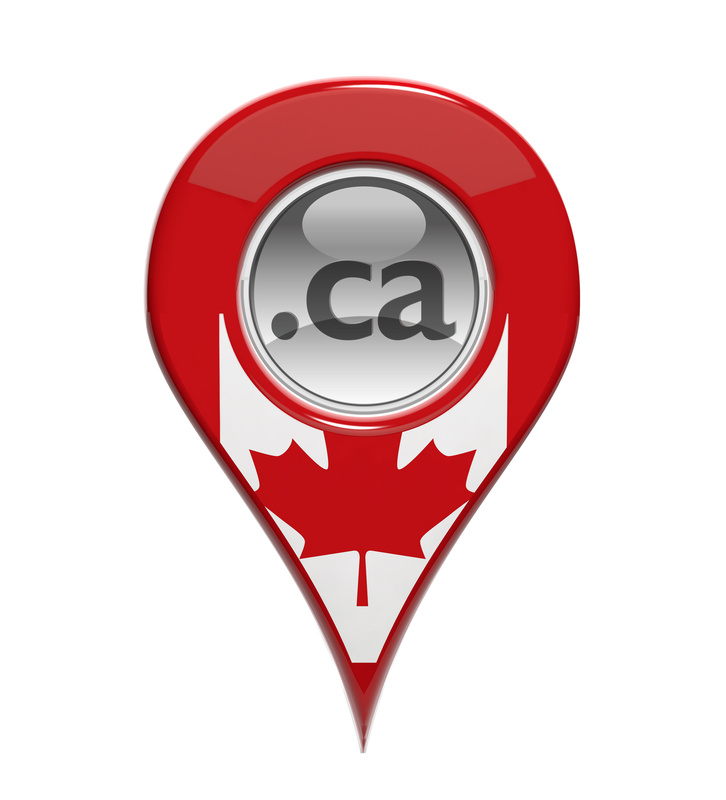 As such, the Canadian Government’s announcement last month that it was moving web hosting for its departmental and agency website related to the Canada.ca domain to Amazon Web Services in the U.S.
March of 2015 saw the government grant a contract to Adobe Corp. for a fully hosted service with a content delivery network, analytics, and hosting environments. Adobe then contracted Amazon Web Services in the U.S. to handle all of the government’s website data. That contract has been extended by one year, and the value of it has grown exponentially – to $9.2 million. It would seem that Canada.ca is now no longer as Canadian as it sounds. With all the reputable and reliable web hosting providers in Canada that would have no problem accommodating such a busy client, it’s worth taking a look at why the Federal Government would make this move. The Government recently produced a draft plan for cloud computing that recommended that data deemed to be “unclassified” by the government — meaning it’s seen as being of no potential harm on a national or personal level — can be stored on servers outside of Canada. There is however some debate as to whose responsibility it is to determine what information should be considered sensitive. Further, when information is deemed sensitive, it remains unclear how that data will be stored, and where it will be stored. Of course, this raises some obvious questions on the part of registered Canadians who want to know that personal data is always entirely secure. Spokespersons have reported that no sensitive information is being stored on the American servers, adding further that as more departments join the Canada.ca website – Canada Revenue Agency being the most notable – there will need to be workarounds implemented to ensure that sensitive data is not relayed on to the American servers. The appeal of cloud computing for the Canadian government is that it will help them get better value for taxpayers’ dollars, become more streamlined in its operations, as well as better meet the evolving needs of Canadians. Managed Web Services will be used solely to deliver non-sensitive information and services to visitors. Similarly, secure systems such as a person’s ‘My CRA’ Account will continue to be hosted on separate platforms and servers within the current GC network. The previous Conservative government spearheaded the move to Canada.ca in 2013, and it was regarded as being a key part of the federal government’s technological transformation. The idea was to help the government save money and become more efficient by creating better efficiencies between the technological needs of the 90 departments and agencies that will be a part of Canada.ca very soon. Prior to all of this, each of the entities had their own website that came with a URL that the majority of people found very hard to remember. All departments have until December 2017 to take themselves over to the new Canada.ca website.